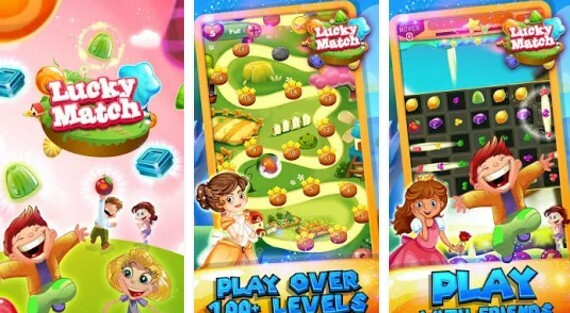 In a mobile world dominated by so many different kinds of iPhone & iPad games, the match-3 puzzle games definitely belong to a world of their own. In fact if you search for “match-3” games in the Google Play Store, you will be bombarded with over 2000 results. If you hope to get the maximum fulfillment in playing a match-3 puzzle, it’s crucial to know which ones are the best. 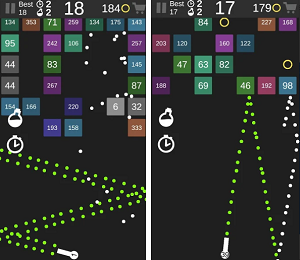 Lucky Match is a free and fun match 3 puzzle game, designed for all Android users that want to relax their mind and challenge themselves at the same time. We loved this game because it is presented with incredible HD graphics, colorful backgrounds, sweet characters and engaging sounds. Let’s see what else it has to offer. With Lucky Match you’re able to explore sweet adventures and to travel through the magical lands of Jelly Fruit Land. Your main goal is to match 3 or more of the same fruits and to collect the jelly. The more you complete your goals, the more levels you will win. The game offers more than 100 challenging levels and a leaderboard where you can check your high scores and compete with other users. Go up on the track for super sweet surprises and don’t forget to use the bombs to explode jellies and fruits. Play as long as you want, visit various places and have fun matching the fruits, download Lucky Match from Google Play – it is totally free!